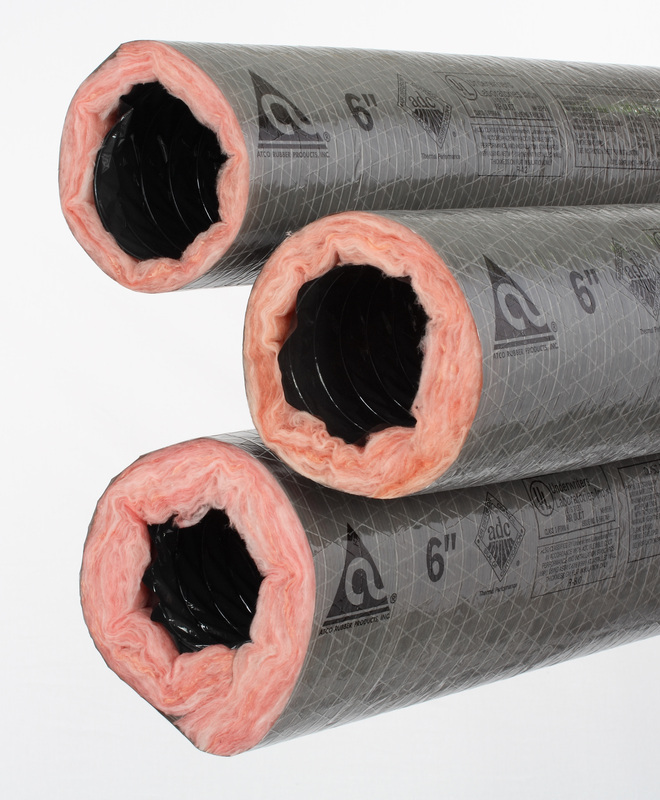 Our premium insulated duct has a double ply, metallized polyester vapor barrier with tri-directional reinforcements. 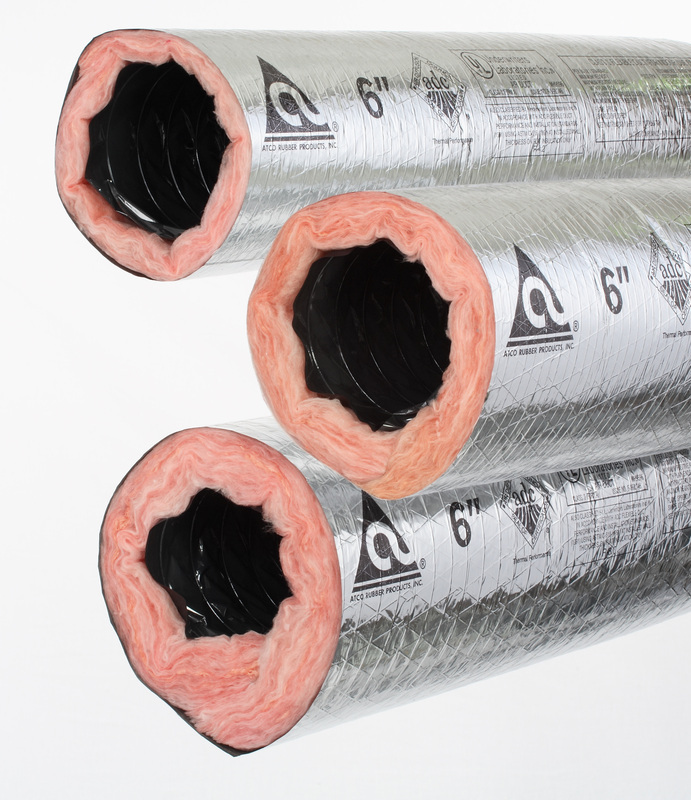 This durable, all purpose product has a double ply, grey polyester vapor barrier with tri-directional reinforcements. 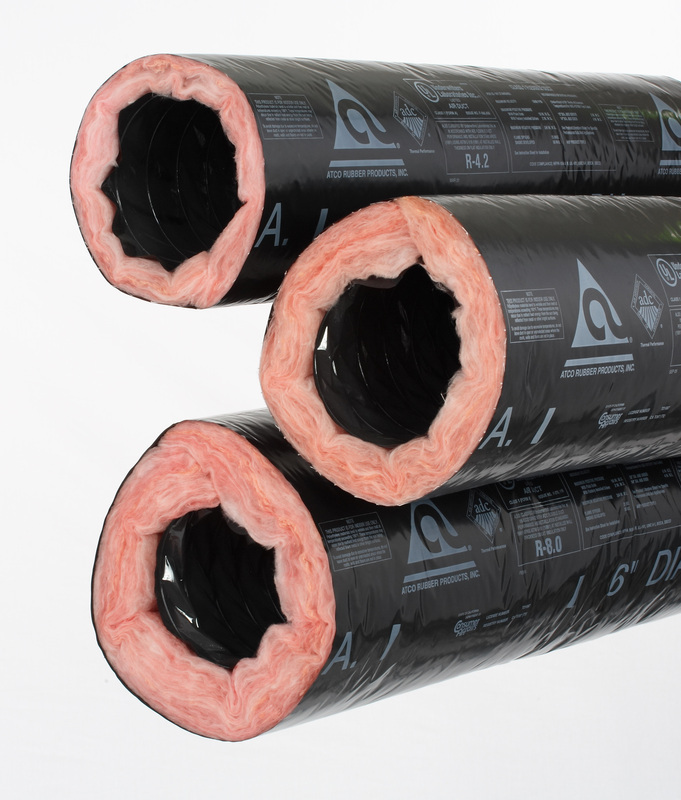 This product has a tough black polyethylene vapor barrier with scrim. Manufactured with a black, heavy-duty polyethylene jacket which complies with the HUD requirements for outdoor mobile home or modular home installation. Uninsulated used for supply, return, exhaust, and any other application where an uninsulated flexible air connector is needed. #050 - Triple ply air tight UL Air Connector.